Without support, these girls would be on the street. For $25 a month, we can enhance a girl’s life. For $60, we can send a young woman to university. You can help us empower girls and young women to shape their own destiny through the power of education. Find out how to connect with a girl or young woman in our program, or make a donation now. With your support Enhance Worldwide is growing. 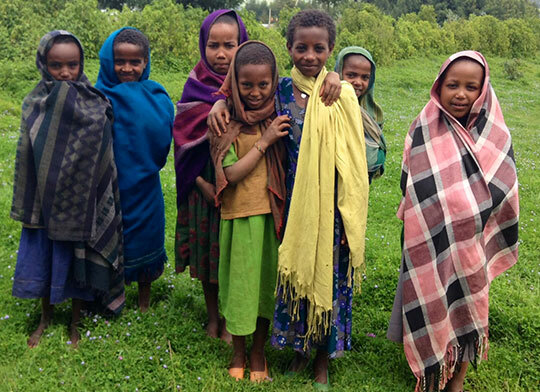 Apart from our core programs, we are responding to the drought in Ethiopia with partners on the ground, providing critical aid to the poorest and most marginalized communities. Your participation and financial support provide girls, young women and their communities with the tools and strategies to navigate pathways out of poverty and now also help girls and young women mitigate the impact of a drought crisis. Founded in 2014, Enhance Worldwide is nonprofit 510(c)(3) organization. Our EIN/tax ID number is 46-5405101.